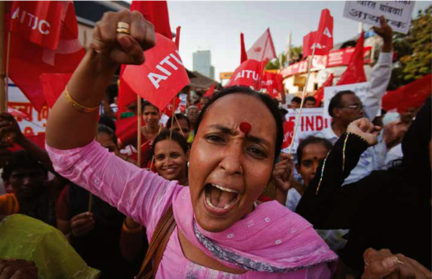 India’s rightwing government attacks NGOs in an attempt to undermine people’s movements. Sections of the Left believe they sap people’s radicalism. But are they a real threat to India’s development? DIONNE BUNSHA picks her way through the barbs. It was time for payback. Less than a month after rightwing Hindu nationalist Narendra Modi took over as prime minister of India in May, he started delivering on his promise to his corporate supporters that he would clear all hurdles in their path. The biggest hurdle they face is people. Across the country, several mining and nuclear projects have been delayed due to nonviolent protests by farmers, fisherfolk and indigenous communities. In June, a report by the Intelligence Bureau (IB) titled ‘Concerted efforts by select foreign funded non-governmental organizations (NGOs) to take down Indian development projects’ was ‘leaked’. It accused several grassroots movements, national and international NGOs and prominent public intellectuals of ‘threatening the country’s economic security’. According to the report: ‘A significant number of Indian NGOs (funded by some donors based in US, UK, Germany and Netherlands) have been noticed to be using people-centric issues to create an environment which lends itself to stalling development projects.’ In the report’s gun sights are people’s movements against nuclear and coal-fired power plants, uranium mines, genetically modified organisms, mega-industrial projects (particularly by POSCO and Vedanta), big dam projects (on the Narmada River and in Arunachal Pradesh) and extractive industries (oil, limestone in the northeast). The negative impacts of such activity on GDP growth is two to three per cent, says the report, without mentioning how its writers arrived at this estimate. about NGOs sabotaging development. ‘It all depends on how you see development,’ says SP Udayakumar, a university teacher and anti- nuclear activist, who was named in the report. ‘When the Prime Minister travels the world to invite foreign capital and sell the country to corporations, it is called diplomacy. But when we try to safeguard our environment and our grandchildren’s future, we are considered anti- national.’ As part of the People’s Movement Against Nuclear Energy, Udayakumar is one of thousands fighting against the installation of 10 nuclear power plants along India’s coastline. He was harassed and intimidated by the previous government, too. His passport has been impounded, phones tapped, and he has been followed by intelligence officers. the Alliance for Sustainable and Holistic Agriculture asserts that this contribution exceeds that of India’s Information Technology sector. Some of the non-violent movements listed in the report are supported by international groups such as Greenpeace, Amnesty and ActionAid, but several take no funding from NGOs. ‘We receive no foreign funding. We don’t even have an NGO registered. We are a local Gandhian movement that runs on people’s contributions, labour and support. Greenpeace has attended our meetings but has not funded us,’ says Udayakumar. Going after NGOs, particularly with accusations of the ‘foreign hand’ working against India’s interests, is nothing new. his government suspended the Foreign Contribution Regulation Act (FCRA) licences of 4,000-odd NGOs with an ‘anti-national agenda’. An FCRA licence allows NGOs to receive donations from outside India. The Indian Social Action Forum (INSAF), a network of more than 700 grassroots organizations and people’s movements, appealed against this arbitrary action in the Delhi High Court. In September 2013, the court cancelled the home ministry order that had suspended INSAF’s FCRA licence – a landmark victory for NGOs across India that routinely face official harassment. India has possibly the largest number of NGOs in the world – more than 3.3 million, according to a 2009 government study.2 There is one NGO for every 400 Indians. They differ widely, and include religious charities, corporate-funded groups, political trusts, Gandhian groups, UN organizations, private school trusts, research organizations and advocacy groups. Some are little more than fraudulent fundraising vehicles; others are small, unsung groupings working tirelessly at the local level. class citizens’.3 The Stop Funding Hate campaign in the US attempts to create awareness about the Sangh’s insidious and violent activities, and stem the flow of funds from unsuspecting donors. However, in India, these organizations continued unhindered, with the blessings of the ruling BJP. The Right picks on a particular kind of NGO to attack: those that support popular movements aiming to thwart the state’s attempt to sell off the public interest to the highest bidder. 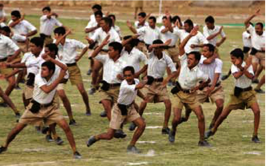 The movements themselves are branded as anything from ‘anti-national’ to ‘Maoist terrorists’. The IB report rightly created a furore, with the left media and intellectuals mounting a strong defence of NGO activity and pointing out the report’s bias towards the government’s corporate agenda. But traditionally, the Left has offered a wider critique of NGOs, saying they offer sops to the poor, defusing their discontent and deflecting revolution. According to Arundhati Roy: ‘[NGOs] turn people into dependent victims and blunt political resistance. NGOs form a buffer between the sarkar [government] and public. Between empire and its subjects. They have become the arbitrators, the interpreters, the facilitators.’4 Roy also faults them for being ultimately accountable to their funders, not the people they work with. This is likely true of several corporate- or institutionally funded NGOs that use Corporate Social Responsibility to obscure dissent against large industrial projects. But whether it holds for all other NGOs – even international NGOs like Greenpeace India, which raises more than 60 per cent of its funds from individual donors living in India – is debatable. Whereas NGOs may at times fall short in their support of people’s movements against the state, it would be remiss to ignore the sterling work being done by hundreds of dedicated NGOs throughout India. Several work with the poorest in the country on a wide range of issues (that governments often ignore) and have had a positive influence on government policy. Their capacity to effect change does not always displease the government. For example, the former chief minister of Bihar praised Greenpeace India’s renewable energy projects in rural Bihar. It was an alliance of NGOs that led a successful campaign to get the government to pass the landmark Right to Information Act 2005, which has been used to tackle corruption and bring greater transparency in governance. In a region of Andhra Pradesh where farmers’ suicides are widespread, several NGOs and scientists are working to help farmers get out of the cycle of debt and grow crops without pesticides. The crux of the issue is a countrywide land grab, often facilitated by the government, which has the power to acquire land forcibly from local people for development projects. This is part of a global trend in which transnational corporations are taking over millions of hectares of land. Dionne Bunsha is an award-winning journalist who divides her time between Mumbai and Vancouver. 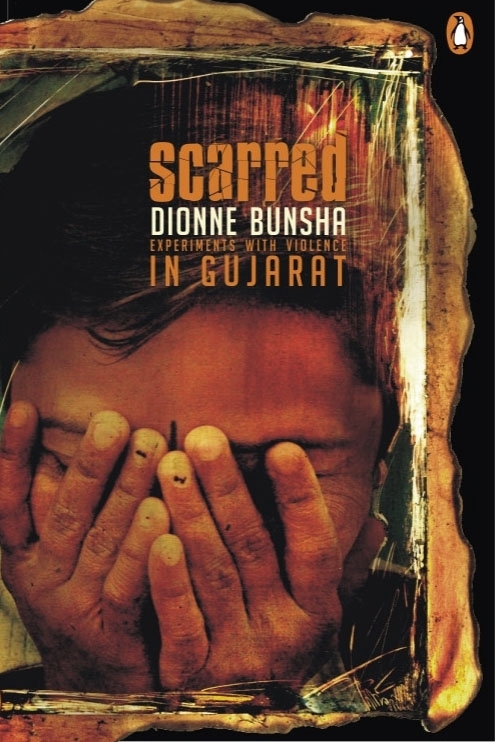 She was a senior editor at Frontline magazine and is the author of Scarred: Experiments with Violence in Gujarat, published by Penguin India. 1 Greenpeace India, 2 September 2014; nin.tl/delhihc 2 ‘First official estimate: An NGO for every 400 people in India’, The Indian Express, 7 July 2010; nin.tl/indianex 3 Hindu Nationalism in the United States: A report on Nonprofit Groups, July 2014; nin.tl/hindunat 4 Arundhati Roy, ‘Help that hinders’, Le Monde diplomatique, November 2004. 5 ‘Social action and NGOization in contexts of development dispossession in rural India: explorations into the un-civility of civil society’ in NGOization: Complicity, contradictions and prospects, edited by Aziz Choudhry and Dip Kapoor, Zed books, 2013. A historic opportunity to protect BC old growth forest, through new partnerships. It has been 20 years since Clayoquot witnessed one of the biggest civil rights protests in Canada’s history against the logging of old growth forests. Clayoquot Sound, on the west coast of Vancouver Island, is one of British Columbia’s most popular tourist destinations, with white surf, long stretches of beaches and towering rainforests. In the summer of 1993, over 12,000 participated in the historic protests and more than 800 people were arrested. The protests were accompanied by an international campaign to boycott timber from B.C. Today, efforts to protect Clayoquot’s intact watersheds continue. The old growth forests haven’t yet been logged, but they are still not legally protected. Clayoquot Sound is considered important for conservation because it has some of the last remaining rare intact watersheds and old growth temperate rainforests in Vancouver Island. The ‘Summer of 1993’ protests in Clayoquot prompted landmark changes in forestry, not only in Clayoquot Sound, but also influenced land use planning in other regions like the Great Bear Rainforest. In response to the protests, the government of B.C. appointed a scientific panel comprising scientists and First Nations elders to devise sustainable forestry practices. The panel introduced a new approach to land use planning called ecosystem-based management that recognizes the full array of interactions within an ecosystem, including humans, and allocates areas for protection as well as sustainable human use. It led to community-based watershed planning, which incorporated precautionary measures to protect the ecological and First Nations cultural values of Clayoquot’s forests. The watershed plans added a network of reserves, resulting in a total of about 61 per cent of Clayoquot’s forested land base in parks or reserves. As an alternative to clear cutting forests, the panel suggested variable retention, a system in which only a portion of the cut block is logged and the rest is retained in order to preserve environmental values. Will First Nations and the B.C. government find a way to protect their intact forests? Photo by SparkyLeigh, Creative Commons licensed. The major forestry company operating in Clayoquot sold its Tree Farm Licenses (forestry licenses) to the five First Nations in the area — the Tla-o-qui-aht, Ahousaht, Hesquiaht, Yuutuʔitʔath and Toquaht — who formed Iisaak Forest Resources Ltd., a pioneering First Nations-owned forestry company. “Iisaak” means respect in the Nuu-chah-nulth language, and the company has avoided logging in the intact forests so far despite severe monetary pressures. In 1999, Iisaak signed a Memorandum of Understanding with environmental organizations in which it agreed not to log in Clayoquot’s ecologically intact watersheds, and to adopt the international Forest Stewardship Council certification. In exchange, the environmental groups agreed to endorse Iisaak Forest Resources Ltd. as a model of ecologically sustainable forestry, assist in its development and help market its products. However, it has been difficult for Iisaak to balance sustainable forestry and economic viability, a challenge that some of the world’s biggest forestry companies shied away from in this controversial region. The company has to service a debt that it incurred to buy the Tree Farm Licenses from the large forestry companies. Under pressure to show financial returns, Iisaak toyed with the idea of logging Flores Island in 2011, one of the intact watersheds. The plan prompted opposition from environmentalists and some First Nations members, and was not executed. “It would be tragic if the intact forests were cut just to pay off the banks, with no benefit to the communities,” said an environmental activist. An alliance of environmental organizations including the Friends of Clayoquot Sound, ForestEthics Solutions and Greenpeace have been working with Iisaak and the region’s First Nations leadership towards solutions to protect intact watersheds. Along with philanthropic organizations, they are trying to negotiate a “conservation finance” agreement with the First Nations that own Iisaak. The alliance is trying to raise money to pay off Iisaak’s debt and to fund sustainable economic projects in return for an agreement that the B.C. government and the region’s First Nations through Iisaak will protect Clayoquot’s remaining intact watersheds. To accompany this agreement, Saya Masso, a resource worker for the Tla-o-qui-aht First Nation, feels that the B.C. government needs to reform forestry tenure law to give Tree Farm License owners the option of having a “conservation tenure.” This would ease the pressure on tenure owners to log and pay high rents to the government and allow sustainable options like carbon credits. Several First Nations members have fought to preserve Clayoquot’s old growth forests. Some leaders were part of the summer of 1993 protests. Prior to the protests, First Nations led historic demonstrations against plans to log intact Meares Island and won a landmark Supreme Court case in 1985 that declared an injunction against logging there. Now, the fate of Clayoquot’s forests is in their hands. Will the First Nations and the B.C. government find a way to protect their intact forests? The Tyee, 19 August 2013.